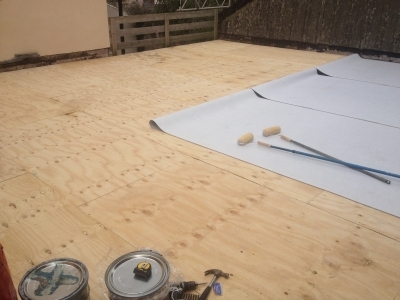 Client: Dixons, Dunmail Park. 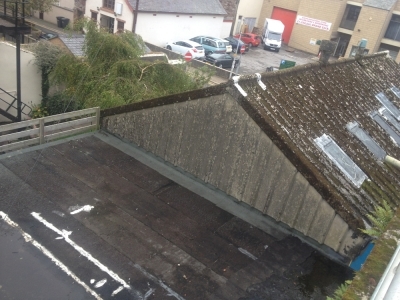 Workington. 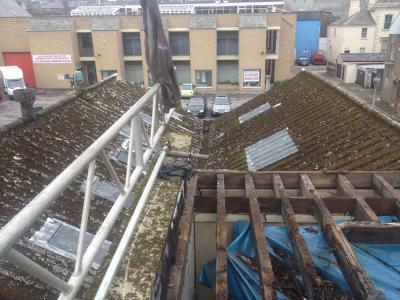 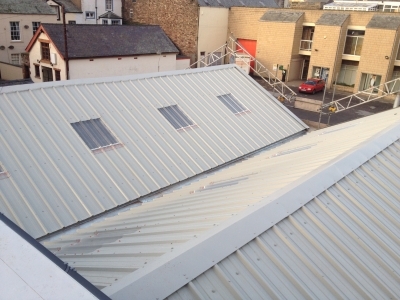 Roof type: Asbestos roof and felt flat roof. 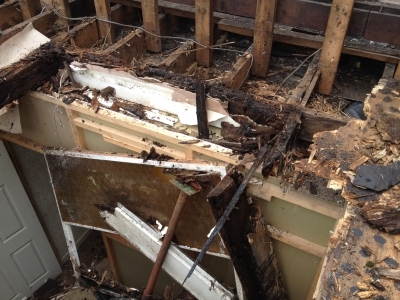 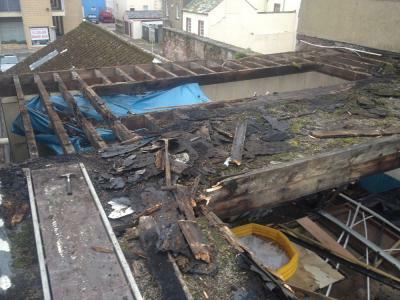 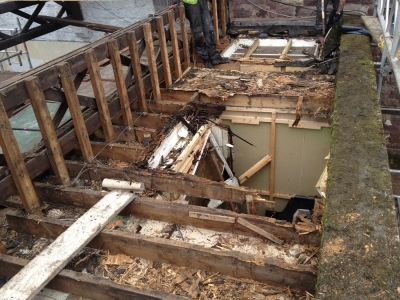 Work carried out: removed all rotten timber decking and joists. Re-placed with new. 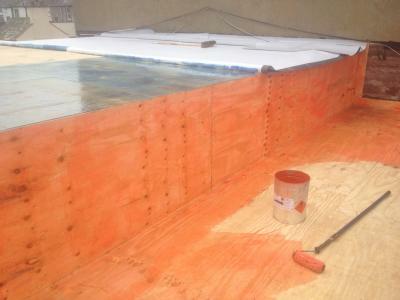 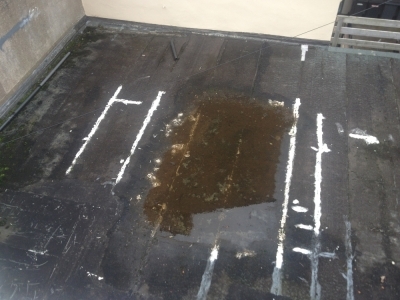 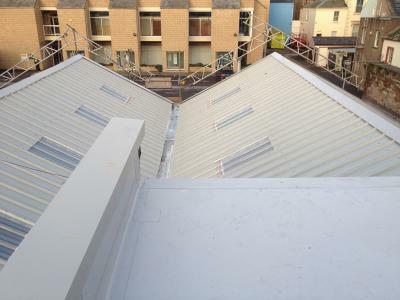 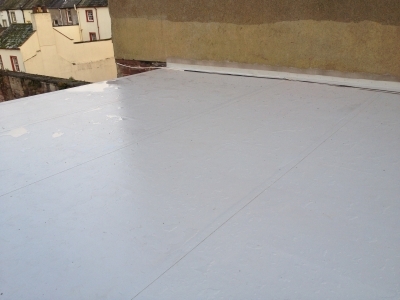 Fitted Sarnafil G410-12elf membrane to all flat roof areas. 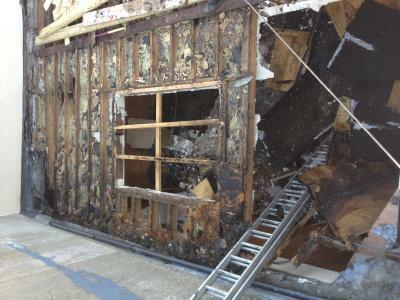 Removed and disposed of all asbestos on site. 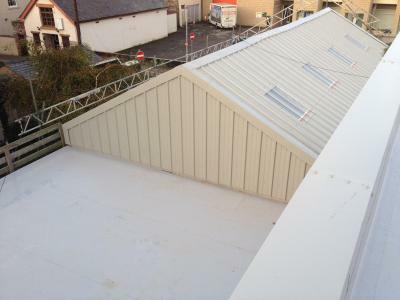 Fitted new as35 profile composite panel cladding sheets and new valley gutters.